La Pêche de Vigne isn’t any type of peach, it is a variety specific to France which ripens later than the standard peach only ready at the end of August. It is sweet and succulent yet slightly tangy like a red berry, but trust me it is worth waiting for those final weeks of summer to try this marvel. 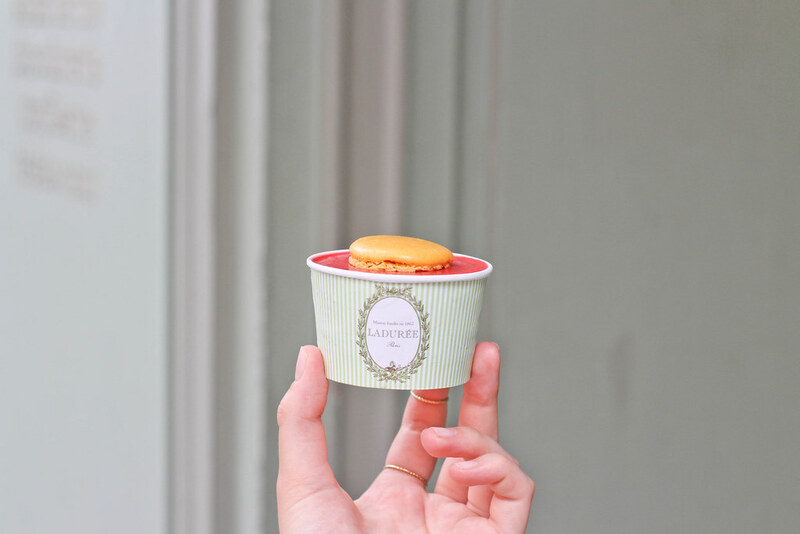 When I saw this flavour in Ladurée, I knew that I had to sample their take on what is one of my favourite fruits. It was my first Ladurée sorbet, but it shan’t be my last. It was sweet yet not too sweet with a slight tang just like the real fruit. This summer stop by the Ladurée boutique along Rue Bonaparte and pick up one their delicious sorbets, the real challenge is not to finish it before you reach the Seine just a few meters down the road..
I’d love it if you could stop by my blog and check my last post: how to look slimmer in photos.